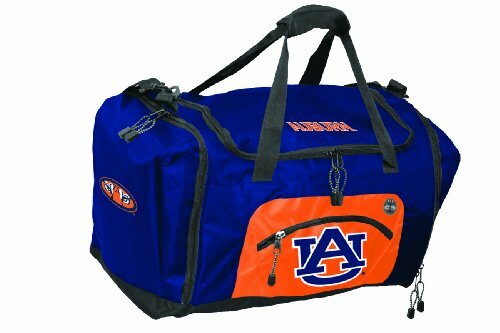 Auburn University Duffel Bag Large Auburn Suitcase or Gym Bag for Men Ladies Him or Her! 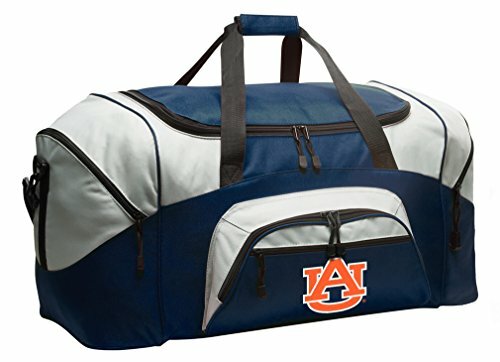 This OFFICIAL NCAA Auburn University duffle bag is perfect as a Auburn University gym bag, a Auburn gear bag, or as a Auburn luggage bag suitcase. This deluxe official NCAA Auburn University Duffle Bag is loaded with great features such as large zippered pockets on each end, two external front pockets, and a easy access d-shaped double zippered top opening This sturdy Auburn University Duffel Bag has an adjustable detachable shoulder strap, padded carry handles and tough 600 Denier fabric construction. (Size: 13.5" x 27.25" x 14.5") These are OFFICIAL College Logo Broad Bay Auburn University Duffle Bags or Auburn Luggage Bags- Up to 12% Returned to Support Auburn University Programs! 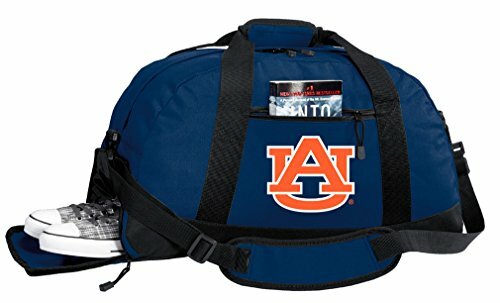 This well made, small official NCAA Auburn duffle bag is perfect as a Auburn University gym bag, or as a compact Auburn overnight bag. 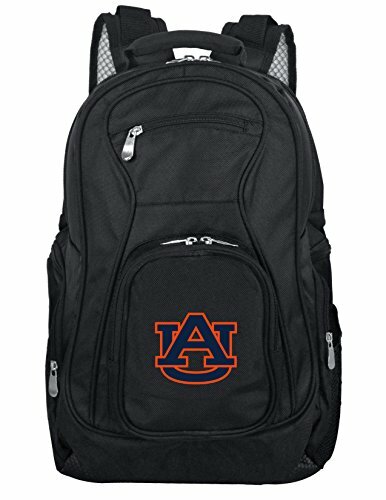 This deluxe official NCAA Auburn University small gym bag is loaded with great features such as zippered pockets on each end, a front pocket, and an easy access d-shaped double zippered main compartment opening. This Broad Bay small Auburn University duffel or gym bag includes an adjustable detachable shoulder strap, padded carry handles, and tough 600 Denier fabric construction. (Size: 10.5" x 21" x 10") Official NCAA University Logo Auburn University Gym Bags and Auburn Duffel Bags- Up to 12% Returned to Support Auburn University Programs! Large Auburn Duffel Bag Suitcase or Gym Bag for Men A Man Him or Her! 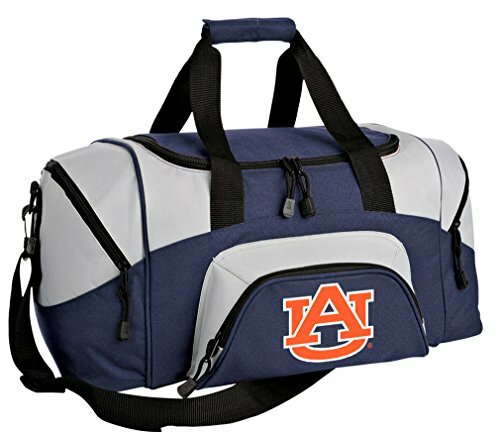 This OFFICIAL NCAA Auburn University duffle bag is perfect as a Auburn gym bag, a Auburn University gear bag, or as a Auburn suitcase. This deluxe official Broad Bay Auburn Duffle Bag is loaded with great features such as large zippered pockets on each end, two external front pockets, and an easy access d-shaped double zippered top opening. This sturdy Auburn Duffel Bag has an adjustable detachable shoulder strap, padded carry handles and tough 600 Denier fabric construction. (Size: 13.5" x 27.25" x 14.5") These are OFFICIAL NCAA Broad Bay Auburn Duffel Bags - Up to 12% Returned to Support Auburn University Programs! 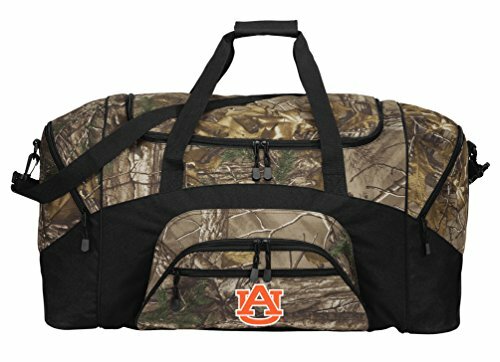 This OFFICIAL RealTree Camo Auburn University Duffle Bag Is A Great Auburn Gift for A Man or Woman! The Broad Bay RealTree Camo Auburn University Duffle is perfect as a cool Auburn gym bag, a RealTree Auburn University camping gear bag, or as a unique Auburn University suitcase. This large deluxe RealTree Camo Auburn Duffel Bag is loaded with great features such as large zippered pockets on each end, two external front pockets, and an easy access d-shaped double zippered top opening. This camo design Auburn Duffel Bag has an adjustable detachable shoulder strap, padded carry handles and tough 600 Denier fabric construction. (Size: 13.5" x 27.25" x 14.5") These are OFFICIAL RealTree Camo Auburn Duffel Bags and Camo Auburn University Luggage Bags- Up to 12% Returned to Support Auburn University Programs! Carry around this officially licensed NCAA "Squadron" Duffel bag by The Northwest Company when you're heading out on the go to add a touch of style to your look. Squadron is a sleek, fashion forward Duffel with incredible functionality that makes this bag the perfect accessory. Broad Bay Large Auburn Duffel Bag CAMO Auburn University Suitcase Duffle Luggage Gift Idea for Men Man Him! A Top Auburn University Gift Idea for Men or Him! 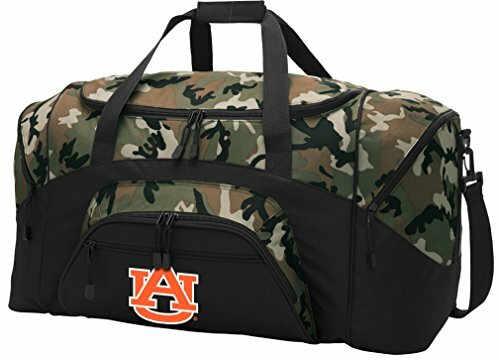 This OFFICIAL NCAA CAMO Auburn duffle bag is perfect as a Auburn gym bag, a Auburn University gear bag, or as a Auburn luggage bag. This deluxe official Camo design Auburn Duffle Bag is loaded with great features such as large zippered pockets on each end, two external front pockets, and a easy access d-shaped double zippered top opening. This unique Camo Auburn Duffel Bag has an adjustable detachable shoulder strap, padded carry handles and tough 600 Denier fabric construction. (Size: 13.5" x 27.25" x 14.5") These are OFFICIAL NCAA Broad Bay Auburn Camo Duffel Bags - Up to 12% Returned to Support Auburn University Programs! 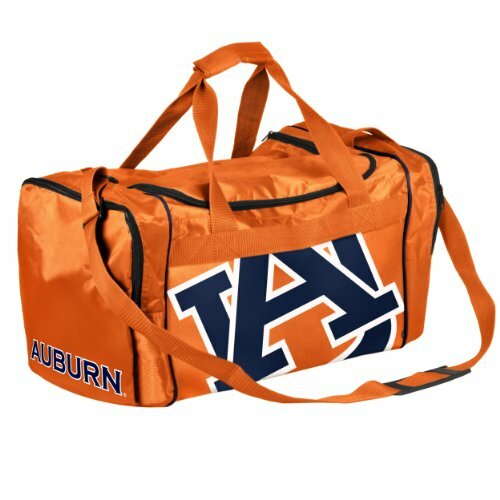 This compact Auburn Tigers duffel bag is perfect as a small Auburn Tigers gym bag, a Auburn University gear bag, or as a small Auburn University overnight luggage bag. This deluxe official Broad Bay Small Auburn Tigers Duffel Bag is loaded with features such as zippered pockets on each end, an external front pocket, an easy access d-shaped double zippered top opening, an adjustable detachable shoulder strap, padded carry handles, and tough 600 Denier fabric construction. (Size: 10.5" x 21" x 10") Official Broad Bay Auburn Tigers Duffel Bags - Up to 12% Returned to Support Auburn University Programs! 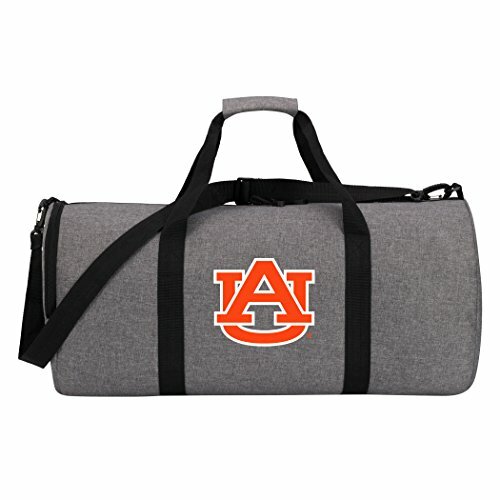 This official Auburn duffle bag is tough enough for baggage check, yet perfectly proportioned and light enough for the gym. The fabric of this Auburn University Duffle is tough 600 Denier bonded to a waterproof coating on the underside for added protection. 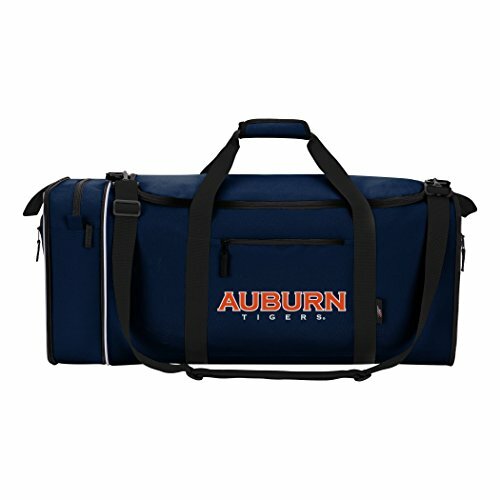 This great Auburn duffle bag is roomy and wide with a outer slip pocket, an adjustable and removable shoulder strap, and carrying handles on top and each end. 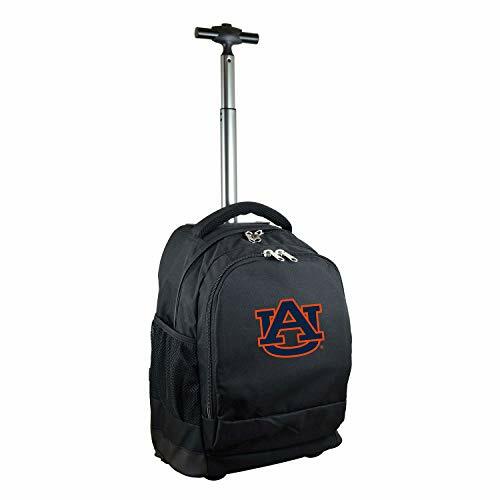 Tough enough to use as Auburn University suitcase yet perfectly designed for use as a larger Auburn gym bag. 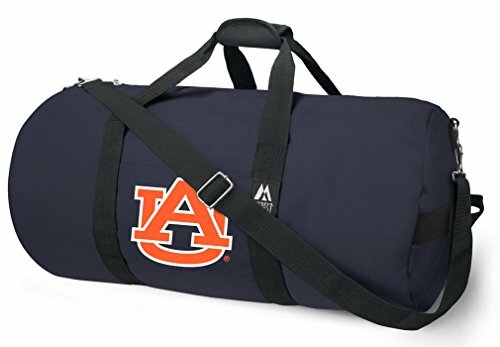 (Size: 24" x 12" x 12") Official Auburn University Duffel Bags and Auburn Luggage Bags - Up to 12% Returned to Support Auburn University Programs! This versatile NCAA Auburn University duffel bag is a top Auburn gift for men or women! Made from super strong 600 Denier Nylon fabric bonded to a waterproof coating, our Auburn University duffle or Auburn University gym bag is tough enough for baggage check yet light enough for the gym. 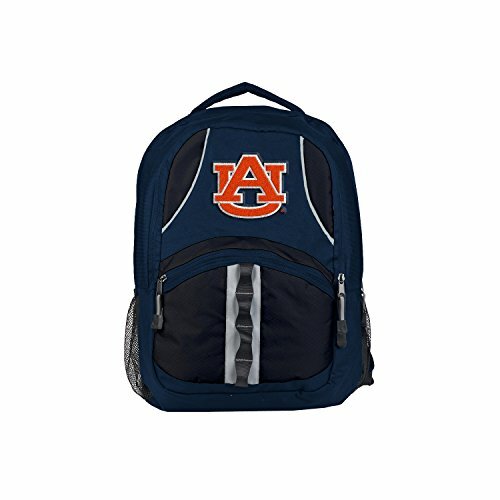 This great Auburn duffel bag features a roomy main compartment, a zippered front pocket, a removable shoulder strap, and a unique separate section for shoes or wet items. This great Auburn duffle bag is great as a Auburn University gym bag, Auburn luggage bag or Auburn University suitcase. (Size: 24" x 12" x 12") Official Auburn Duffel Bags and Auburn University Gym Bags- Up to 12% Returned to Support Auburn University Programs! Head to the gym with this officially licensed NCAA "Wingman" sports Duffel by The Northwest Company. Pack up this Duffel into the 12"l x 1"W x 12"H side pocket for ease of travel and stowage. The Wingman Duffel sports incredibly light weight material; it's the ideal sized bag for the gym or any travel. 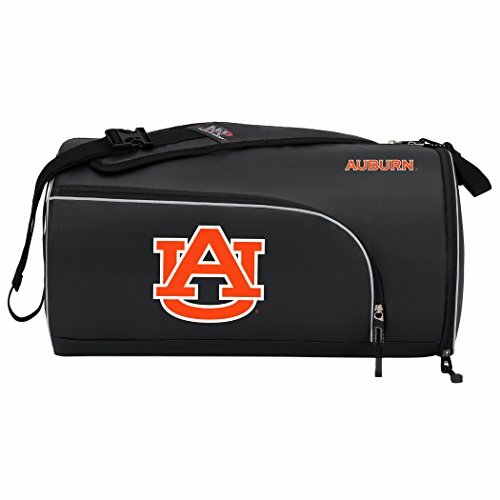 This compact Auburn University duffel bag is perfect as a small Auburn University gym bag, a Auburn gear bag, or as a small Auburn overnight luggage bag. This deluxe official Broad Bay Small Auburn University Duffel Bag is loaded with features such as zippered pockets on each end, an external front pocket, an easy access d-shaped double zippered top opening, an adjustable detachable shoulder strap, padded carry handles, and tough 600 Denier fabric construction. (Size: 10.5" x 21" x 10") Official Broad Bay Auburn University Duffel Bags - Up to 12% Returned to Support Auburn Programs! Show off your team pride with the L708 NCAA Expedition Wheeled Backpack made by Denco. Each sleek looking wheeled backpack measures 19-inches in length and boasts two large interior compartments. It is embellished with your favorite NCAA team colored logo and features a front organizer pocket to store everyday essentials and a padded computer sleeve to fit most laptops and tablets up to a 17-inch screen. The adjustable mono-pull retractable handle, padded shoulder straps, and in-line skates ensure dependable hassle-free travelling as you embark on your day while still having standout style. 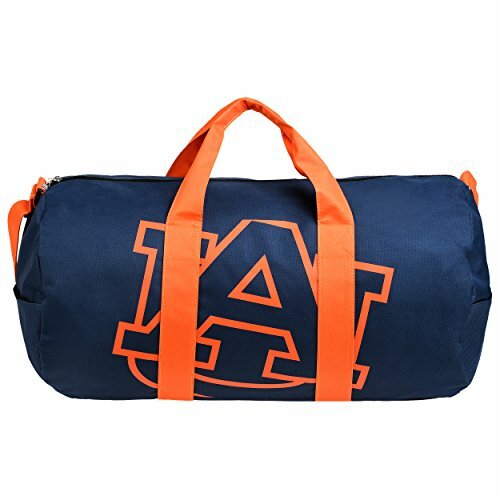 Compare prices on Auburn Duffel Bag at Elevelist.com – use promo codes and coupons for best offers and deals. We work hard to get you amazing deals and collect all avail hot offers online and represent it in one place for the customers. Now our visitors can leverage benefits of big brands and heavy discounts available for that day and for famous brands.